Hi guys, today I would like to give a small review on one of my newest makeup purchases. 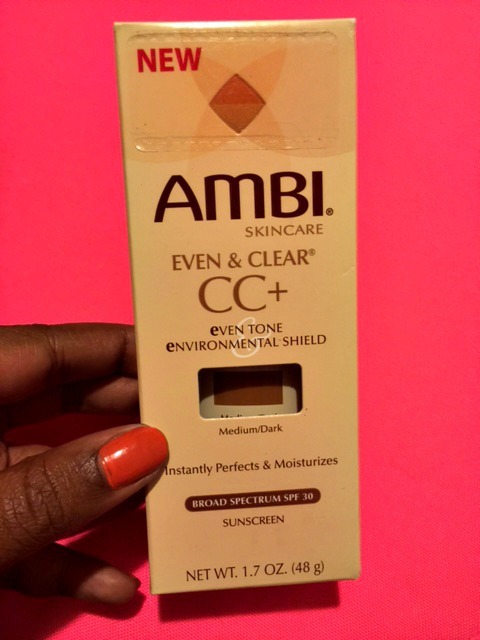 The item that I purchased is the Ambi Even & Clear CC+ Cream in the shade medium/dark. 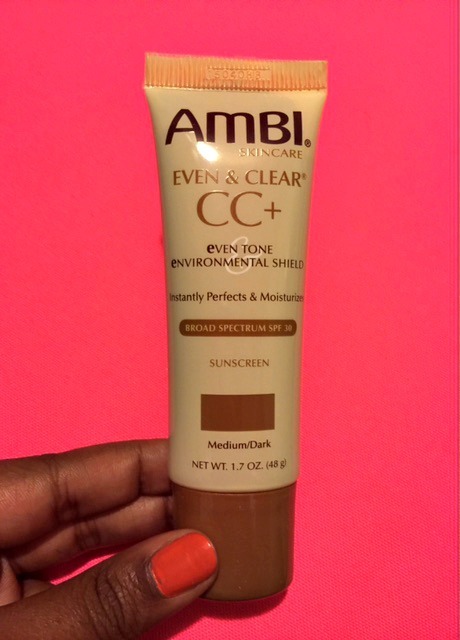 The CC Cream contains SPF 30 which is perfect for the summer and a huge part of the reason why I purchased it. I found this item at CVS for $8.29 and it came with a $2 off coupon which made the price come down to $6.29. Not only is this product great for your skin it is also very affordable! In this packaging you receive 1.7 OZ of product. The coverage of the CC Cream is light-medium and isn’t the best for those who have oily skin unless you use a matte primer. 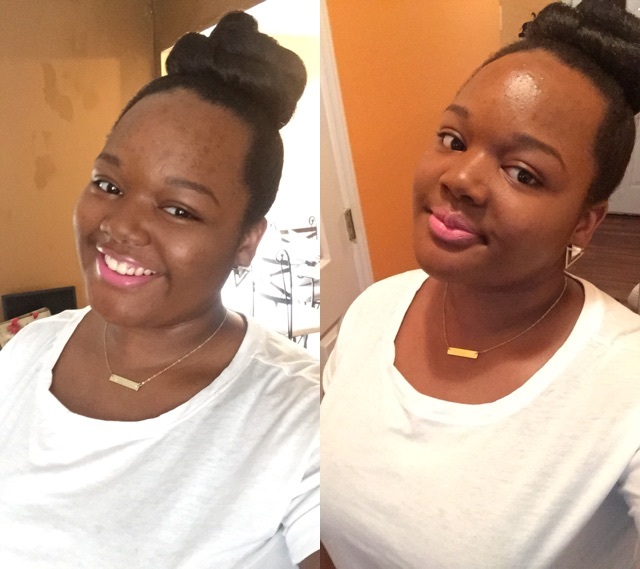 In these pictures I wore the CC Cream without any primer or face powder to set my face. The picture on the left was taken in natural lighting and you can see my acne scars along my forehead. I would recommend this product especially for the hotter months when you will need more SPF and may want a lighter coverage. If you are interested in purchasing drugstore.com has a great deal for only $7.19, I hope you all enjoy!